Desperately Seeking Adventure: Weekend Life... Beijing, China! Straight up, I took my weekends for granted before starting my weekend Montessori teaching course! Trying to salvage what I have of a weekend right now, have I actually been busy or not during my 'new' weekend routine? Sanlitun got me on that Destination Blue but deep down my four walls seemed like the best place to be. Serious, I still find time for my Soju nights B! Fresh from my hiatus from China I had envisaged weekends full packed with sightseeing in China's capital city but after the workload kicked in and being in the classroom all day had me so sleepy, all I wanted for the weekends was to stay home and chill out. Of course, chilling out this time round means a good drink when Friday made an appearance, but with that boozy behaviour I didn't want to make it out of bed into the city. Previously in Wuhan I would pull the same tricks but my apartment wasn't as nice so this upgraded Beijing residence gave me that extra excuse to order in and close the world out. So many weekends passed me by, did I feel they had been misspent? No, I was entitled to relax and rest up with a drink in hand, but it did beg the question that I should have been in the city more? I'm planning on living here for a while longer, the chilled opportunities can continue as far as I am concerned! Another one? Arriving in November the Beijing winter bit like a bad one, to combat that chill I was fortunate enough for my landlord to provide free heating for me during that sub-zero period. Getting home on a Friday to that warm air felt like a massive relief, washing all over me it was bliss and quite frankly I didn't want to leave my toasty warm apartment one bit! The odd trip to Wu Mei took me outside or to the shop to get some more drink but from Friday evening to Monday morning I didn't have any grand plans to leave my Beijing abode. That hermit life got me craving something more, breaking out in January to a problematic day within Beijing's Muslim Quarter reminded me why I should have stayed in the warm! Only joking it was great to get out but I would give my right arm for a two day weekend like they were before! I don't need sympathy because my current hustle is genuine and will benefit my future. Lazy weekends like that will return soon, but with all that lounging I wanted to get out! 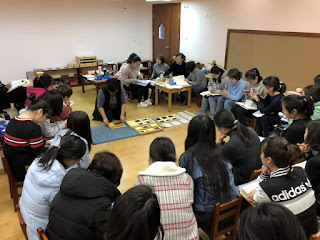 It's no secret that I have always wanted to know what Montessori was all about, being in Beijing at my chosen International Kindergarten I was fortunate enough to be selected for the EMTTA Montessori Weekend Teaching Course. Before detailing certain terms I wasn't present at the first classes, I had carefully negotiated another contract to get myself some rest time. If fate would of had it, the EMTTA department moved into three vacant classrooms at my school before March 2018 made an appearance. Taking the tail of the 'Practical Life' module I had my eyes opened to the potential of the teaching qualification in hand, thinking about it more closely it was something that would have taken longer to achieve in Wuhan! Not disrespecting Hubei's provincial city but I left for Beijing for serious career development and getting a place on this Montessori gig was something I wanted, it was all meant to be. Work this! I'm still pretty fresh in Beijing, China and this time around I don't have a 'China bestie' so any friendly face is recognised as long as I catch their vibe. Meeting Chanel and Kelly was the thing that I needed, we have been present in classes to simply laugh the day away, sometimes its serious and we listen and practise with the materials because we have been selected for the course but its a long weekend course and sometimes we have to be real! In a group with predominately Chinese females, not so much integration has been made so it's #TeamForeigner all the way! It's so far taking most of my time, meaning I train at the weekends and work in the week but I have a little break. At the moment we are working our way through the Sensorial module, its a lot of Geometry shapes and Trinomal cubes but I lived for the Thermic Bars because they will hopefully capture the kids for sure! Even though the schedule is full on, I know it will going to benefit me in time. Yes, Montessori is my future! I knew that Beijing had the power even before I touched down at Capital Airport but Destination slayed the competition fearlessly! China shy's away from flying a proud rainbow flag, marred with a traditional society, I found a place in Beijing's party neighbourhood to wild out at. Peering through with much curiosity I was fronted with a sea of beautiful men, oriental by race and gorgeous by appearance, it was like a dream come true! Wading my way through the crowded walkways I found the dance floor, before me stood a hive of energy with so much to look at! Pretty boys worked their cakes for their adorning fans, I had to get myself on that podium for a brief moment because I was feeling my fiercest self during that moment! Destination Blue? The second visit saw me sink countless serving of that blue liquid, for what unfolded I don't think its worth going into but it's a drink that knocked me out! 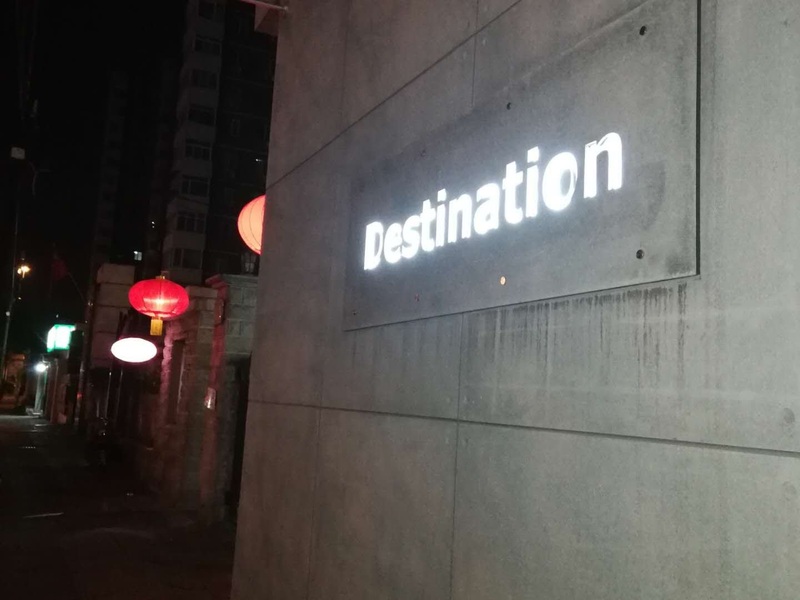 Destination, who? Having a few beverages at home after my Spring Festival holiday I found myself in a taxi to meet my future 'Beijing Bestie'. 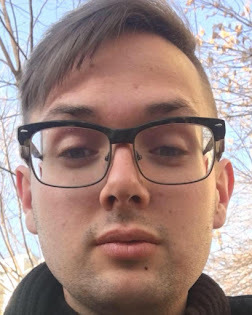 Being a Thursday night during a national holiday it was like a breath of fresh air to not have to push and shove through a sea of queens, no matter where they are from they are fierce specimens. Taking charge of the venue I had my blue drinks on but there wasn't going to be any drama that time around, dominating the floor I was quite popular during that session of blue beverages. With training I have had reivent my weekend but I have the future in my sights. Weekends on a Friday or spent training, it's all the same because I have to make the best of this next year because if I don't I will end up insane or dropping down from exhaustion! Beijing's fiercer than Wuhan for all the right reasons, let's see how it goes but I'm going to keeping it blue for the drinks! I won't be staying in the warm next, I have to be thankful for what time I have off! Maybe just a little bit? On The Metro: Beijing's Line 15!